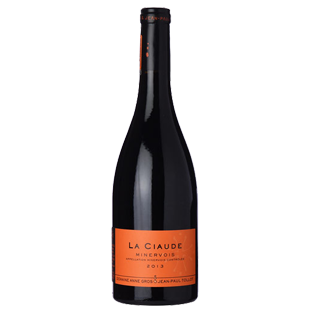 "Another single parcel release, the 2013 Minervois la Ciaude comes from the clay and rocky soils around the town of Cazelles and is mostly Carignan (100+-year-old vines) and Syrah, yet incorporates a splash of Grenache. Aged mostly in demi-muids, it has lots of liquid minerality to go with classic notes of black raspberry, violets, spice and hints of toasted bread. Balanced, elegant and medium-bodied, with perfectly integrated acidity and ample balancing fruit, it too can be consumed anytime over the coming decade."